Dawson Park felt alive this summer with so many fantastic events. 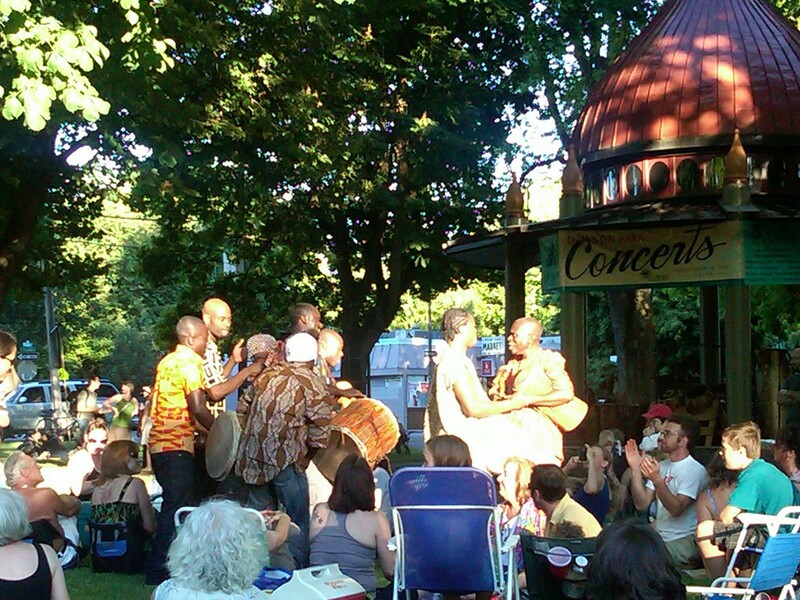 In cooperation with Portland Parks and Recreation, the Dawson Park Concert Committee raised enough money from local businesses and generous concert goers to host 4 fabulous concerts in July and August. Neighbors and families from all over Portland were treated with an eclectic variety of free music throughout the summer. Obo Addy & the Okropong dancers started the summer off right on a beautiful sunny July 6th Wednesday by playing their Ghanaian drums and dancing in a traditional African-style, in front of one of the largest Dawson Concert crowds ever! Over the following weeks, Dawson hosted concerts from the Dirty Syncopators, Lisa Mann and Her Really Good Band, and Hillstomp. The bands featured music ranging from funky, to blues, to bucket & slide rock. Concert attendees packed their picnics or purchased from the food vendors who were on-sight to enjoy an evening of music and entertainment. For 3 Sunday afternoons in August, the Unscriptables, a Portland improvisation theatre company, visited Dawson Park to perform plays, free to the public. Deemed “Fakespeare in the Park,” the actors wove suggestions from the audience to create tales of love, betrayal, intrigue, and mistaken identity in the style of William Shakespeare. Using the iconic Dawson Park Dome as their stage, the results were hilarious and unique short improv plays. It was truly an enjoyable way to spend an afternoon. Go to: www.theunscriptables.com for more information on the theatre group and check out what other events they have coming up. 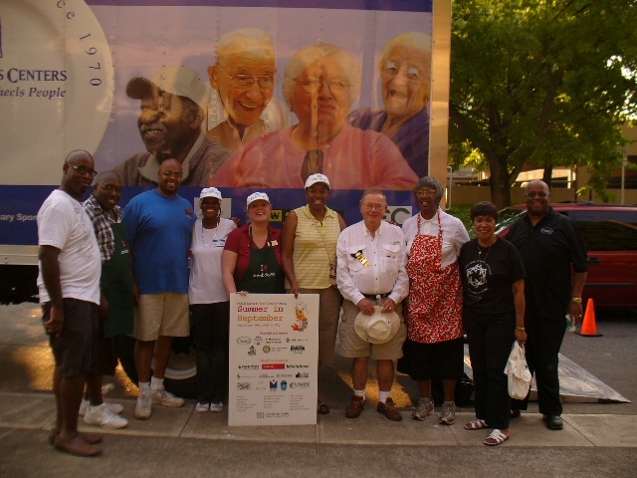 Loaves & Fishes hosted a “Summer in September Jambalaya Festival and BBQ” at Dawson Park on September 10th. If you were anywhere near the park that day, you heard the great live music from the Cascade Zydeco Club. This was Loaves & Fishes 6th annual fundraiser. Tickets were sold for the event which featured authentic Creole Jambalaya, ribs, live music, dance lessons, and games for the children. It’s been a treat to witness Dawson Park becoming a hub for family entertainment throughout the summer and my hope is it continues to grow in popularity for these kinds of events. As a member of the Dawson Park Summer Concert Committee, I know we are always looking for enthusiastic volunteers to help with fundraising, choosing the performers, and communicating out to our neighbors the summer concert schedule. If you’re interested in participating, please contact me at tamillelundmark@gmail.com. Our committee will start working on next summer’s series this February.